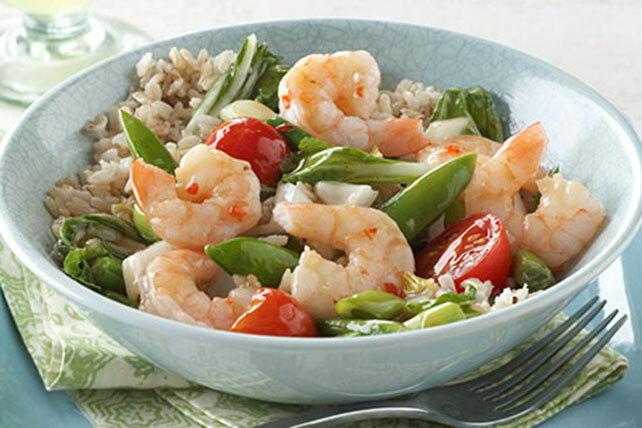 So many things are smart about this sumptuous stir-fry—lite soy sauce, light zesty dressing, fresh vegetables, brown rice—the chef will be considered a genius. Mix cornstarch and soy sauce until blended. Stir in broth and 2 Tbsp. dressing. Top with additional sliced green onions and toasted sesame seed just before serving.